Back on November 2011 Google presented GoMo, an initiative to help site owners to mobilize their websites. Today, the company has announced it is taking this initiative one step forward with a new free do-it-yourself tool to build a mobile website. The mobile site builder tool is a result of a partnership between Google and the mobile website creation platform DudaMobile. While Google provides the exposure and brings the site owners, DudaMobile is actually powering and operating the site builder tool. Enter your site’s URL into the box. Choose your blog / website template. Create your account (if you didn’t done that already) and go live. 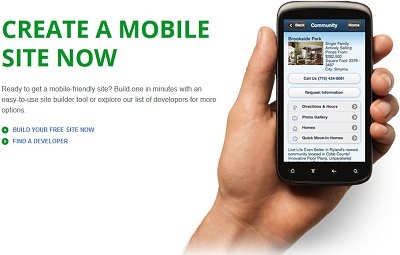 Redirect mobile users to your mobile site. The redirection can be to DudaMobile URL (mobile.dudamobile.com/site/YourDomainName) or to the site URL (m.YourDomainName.com) by copying a code into the <head> tag of the site’s index page. The code will direct only mobile users to the mobile URL (as in the image below). It took me about 15 minutes to build a mobile website by using this mobile site builder and it actually looks pretty nice and friendly. However, I still prefer using the WPtouch plugin (for WordPress blogs only!). Although DudaMobile are offering their premium plan for free, they are benefiting from an increased exposure that may attract businesses to their Pro plan (cost $499 for the first year, then $86.40 for a year) and will benefit after the first free year of businesses will end and they would like to continue with the service. Why is Google so nice you ask? Google has a very clear interest that as much websites as possible will be mobile friendly. The equation is pretty simple: More mobile friendly websites, more engaged mobile users, more clicks on ads, more money in Google’s pockets. Google advertising platforms (AdWords and AdSense) are the largest on the web and therefore there’s a high probability that ads on mobile websites will belong to Google advertising platforms. The site builder tool itself offers free AdSense integration. But don’t get me wrong here, I think it is a legitimate strategy which made Google what it is– Offering free quality services for users/businesses and earn from ads. It works for the search engine, it works for YouTube and it will probably work here as well.